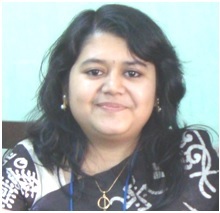 Dr. Asmita Samadder completed her M.Sc. and then received her Ph.D from University of Kalyani, India. She worked in an International Project, France, during her PhD tenure, and later completed her training at Jawaharlal Nehru University, India, as DST Postdoctoral fellow in Nanoscience and Technology, JNCASR. She has over 40 original research publications in International peer-reviewed journals of repute. Presently, she is an Assistant Professor and Head in the Department of Zoology, Dumdum Motijheel College, Kolkata, India. Her research interest includes formulation of several drugs to treat various toxicants induced Diabetes, Cancer, Reproductive dysfunction using Nanotechnology, Pharmacology, Homeopathy, etc. exploring well defined modulatory effects of signaling cascades at Genetics, Cellular and Molecular level in both in vitro and in vivo system. Additionally she assists in evaluating the biological application of chemical sensors for host-guest interaction in toxic environment. 1. Samadder A, Abraham SK, Khuda-Bukhsh AR. Nanopharmaceutical approach using pelargonidin towards enhancement of efficacy for prevention of alloxan-induced DNA damage in L6 cells via activation of PARP and p53. Environmental Toxicology and Pharmacology 2016; 43: 27–37. 2. Chatterjee N, Maity SB, Samadder A, Mukherjee P, Khuda-Bukhsh AR, Bharadwaj PK. A Chemosensor for Al3+ Ion in Aqueous Ethanol Medium: Photophysical and Live Cell Imaging Studies. RSC Advances 2016; 6: 17995-18001. 3. Ghosh K, Tarafdar D, Samadder A, Khuda-Bukhsh AR. Pyridinum-based flexible tripodal cleft: a case of fluorescence sensing of ATP and dihydrogenphosphate under different conditions and cell imaging. RSC Advances 2015; 5: 35175–35180. 6. Das J, Das S, Paul A, Samadder A, Bhattacharyya SS, Khuda-Bukhsh AR. Assessment of drug delivery and anticancer potentials of nanoparticles-loaded siRNA targeting STAT3 in lung cancer, in vitro and in vivo. Toxicology Letters 2014; 225:454-466. 7. Samadder A, Das S, Das S, Khuda-Bukhsh AR. Relative efficacies of insulin and poly (lactic-co-glycolic) acid encapsulated nano-insulin in modulating certain significant biomarkers in arsenic intoxicated L6 cells. Colloids and Surfaces B: Biointerfaces 2013; 109: 10– 19. 8. Samadder A, Das J, Das S, De A, Saha SK, Bhattacharyya SS, Khuda-Bukhsh AR. Poly (lactic-co-glycolic) acid loaded nano-insulin has greater potentials of combating arsenic induced hyperglycemia in mice: Some novel findings. Toxicology and Applied Pharmacology 2013; 267: 57-73. 9. Das S, Das J, Samadder A, Bhattacharyya SS, Das D, Khuda-Bukhsh AR. Biosynthesised silver nanoparticles by ethanolic extracts of Phytolacca decandra, Gelsemium sempervirens, Hydrastis canadensis and Thuja occidentalis induce differential cytotoxicity through G2/M arrest in A375 cells. Colloids and Surfaces B: Biointerfaces. 2013; 101: 325-336. 10. Samadder A, Das S, Das J, Paul A, Boujedaini N, Khuda-Bukhsh AR. Potentized homeopathic drug, Lycopodium clavatum (5C and 15C) shows anti-cancer effect on HeLa cells in vitro. Journal of Acupuncture and Meridian Studies 2013; 6:180-187. 11. Das S, Das J, Samadder A, Paul A, Khuda-Bukhsh AR. Efficacy of PLGA-loaded apigenin nanoparticles in Benzo[a]pyrene and ultraviolet-B induced skin cancer of mice: mitochondria mediated apoptotic signalling cascades. Food and Chemical Toxicology 2013; 62: 670-680. 12. Ghosh K, Tarafdar D, Samadder A, Khuda-Bukhsh AR. Piperazine-based simple structure for selective sensing of Hg2+ and glutathione and construction of logic circuit mimicking INHIBIT gate. New Journal Chemistry 2013; 37, 4206-4213. 13. Ghosh K, Sarkar T, Samadder A. Rhodamine appended tripodal receptor as a ratiometric probe for Hg2+ ions. Organic Biomolecular Chemistry 2012; 10: 3236-3243. 14. Samadder A, Das J, Das S, Khuda-Bukhsh AR. Dihydroxy-isosteviol-methyl-ester, an active biological component of Pulsatilla nigricans, reduces arsenic induced cellular dysfunction in testis of male mice. Environmental Toxicology and Pharmacology 2012; 34: 743-752. 15. Samadder A, Das S, Das J, Paul A, Khuda-Bukhsh AR. Ameliorative effects of Syzygium jambolanum extract and its poly (lactic-co-glycolic) acid nano-encapsulated form on arsenic induced hyperglycemic stress: a multi-parametric evaluation. Journal of Acupuncture and Meridian Studies 2012; 5: 310-318. 16. Das S, Das J, Samadder A, Boujedaini N, Khuda-Bukhsh AR. Apigenin induced apoptosis in A375 and A549 cells through selective action and dysfunction of mitochondria. Experimental Biology and Medicine 2012; 237: 1433-1448. 17. Ghosh K, Sarkar AR, Samadder A, Khuda-Bukhsh AR. Pyridinium–based fluororeceptor as a practical chemosensor for hydrogen pyrophosphate. Organic Letters 2012; 14: 4314-4317. 18. Samadder A, Das J, Das S, Biswas R, Khuda-Bukhsh AR. Ameliorative potentials of Syzygium jambolanum extract against arsenic-induced stress in L6 cells in vitro. Journal of Chinese Integrative Medicine 2012; 10: 1293-1302. 19. Das J, Das S, Samadder A, Bhadra K, Khuda-Bukhsh AR. Poly (lactide-co-glycolide) encapsulated extract of Phytolacca decandra demonstrates better intervention against induced lung adenocarcinoma in mice and on A549 cells. European Journal Pharmaceutical Sciences 2012; 47: 313-324. 20. Samadder A, Das J, Das S, Das D, De A, Bhadra K, Khuda-Bukhsh AR. Dihydroxy-isosteviol methyl ester of Pulsatilla nigricans extract reduces arsenic-induced DNA damage in testis cells of male mice: its toxicity, drug-DNA interaction and signalling cascades. Journal of Chinese Integrative Medicine 2012; 10: 1433-1442. 21. Samadder A, Chakraborty D, De A, Bhattacharyya SS, Bhadra K, Khuda-Bukhsh AR. Possible signaling cascades involved in attenuation of alloxan-induced oxidative stress and hyperglycemia in mice by ethanolic extract of Syzygium jambolanum: Drug-DNA interaction with calf thymus DNA as target. European Journal of Pharmaceutical Sciences 2011; 44: 207-217. 22. Bhattacharyya SS, Paul S, De A, Das D, Samadder A, Boujedaini N, Khuda-Bukhsh AR. Poly (lactide-co-glycolide) acid nanoencapsulation of a synthetic coumarin: Cytotoxicity and bio-distribution in mice, in cancer cell line and interaction with calf thymus DNA as target. Toxicology and Applied Pharmacology 2011; 253: 270–281.